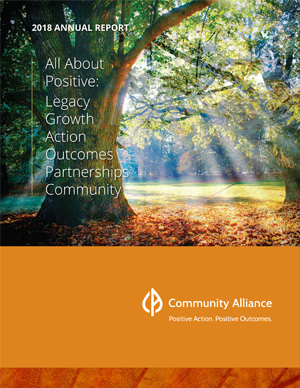 At Community Alliance, there is much to be positive about. Our positive history and legacy. Our continued growth. A cadre of staff and volunteers second to none. The immeasurable value of our partnership with you and the community. Most of all, we are positively positive about the strength and power of recovery.